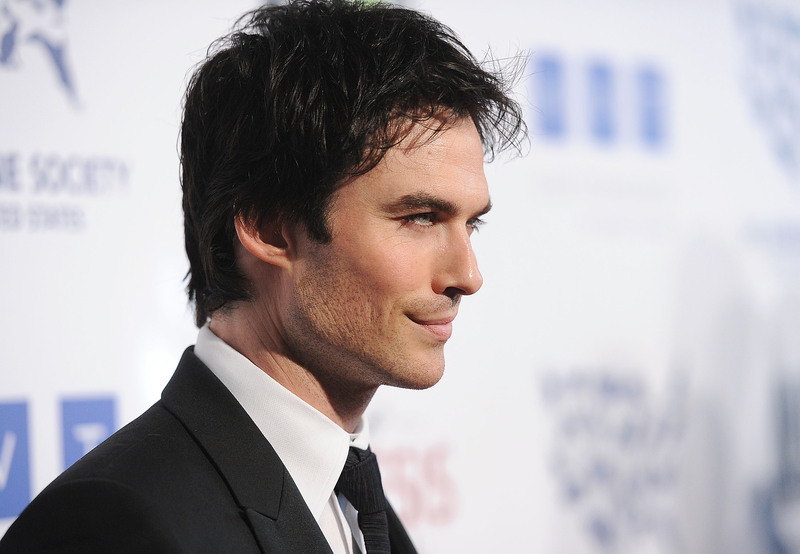 Swoon-worthy star of the CW's most recently successful show, The Vampire Diaries, turns 35 today. But all Ian Somerhalder wants for his big day is for you to donate to his foundation. Actually, very specifically, he'd like you to donate $35 dollars in lieu of a birthday gift, one dollar for every year he's been alive. "I have a goal this year… we can get 1 million people of the 7 billion on the planet to donate $35 dollars," he wrote on the official Ian Somerhalder Foundation site. "I know it sounds simple, but all donations big and small fuel our resources to continue expanding and making change for the voiceless of this planet: our skies, seas, energy, habitats and of course our furry friends. So if you can donate now, two months from now or at my birthday thank you." How can you resist such a noble plea? Because there's nothing sexier than a man who loves animals, wants to save the planet, and uses winky faces when writing letters to his fans, here's a few of our favorite GIFs of Ian Somerhalder cuddling animals to send you on your way. Everyone say it with me, "Awww!"